Hand-Held magazine is a print ready project designed to utilize the knowledge of layout and typography in a tabloid format. 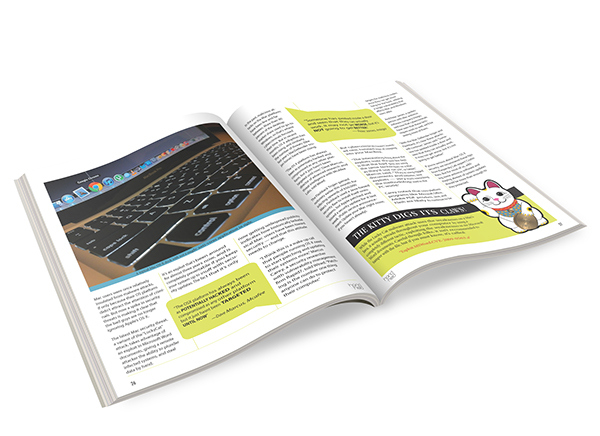 Each feature article uses a unique design style to properly display each of the subjects. 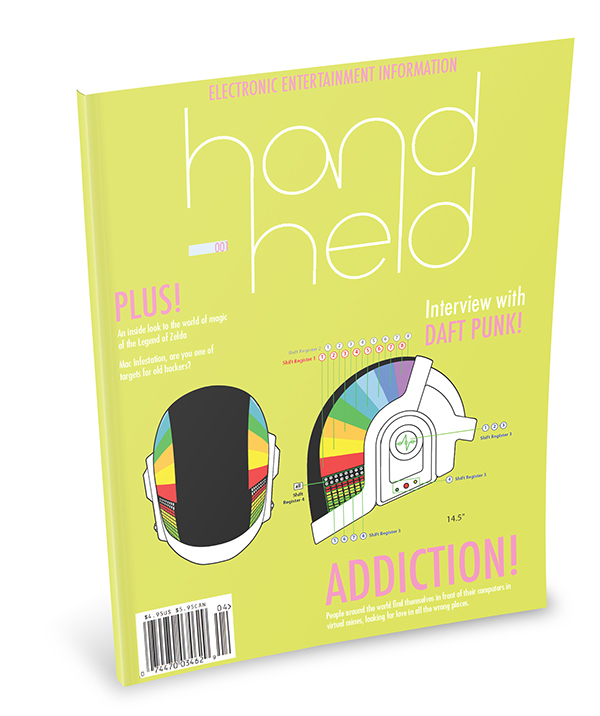 Cover of Hand-Held Magazine with feature article previews. Using a light green to highlight pull-quotes and sidebars and a 3-column layout, content is delivered with great readablity. 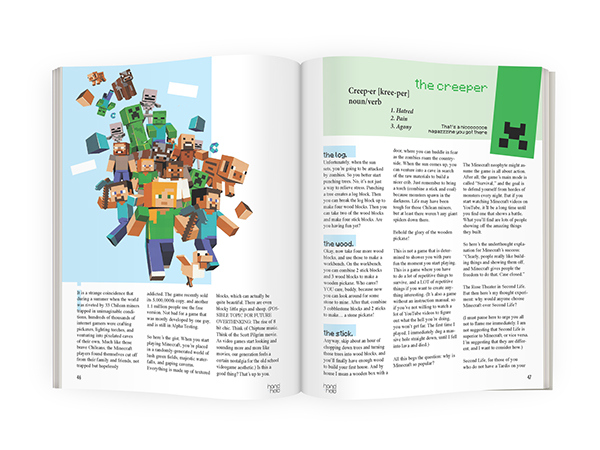 With official artwork complimenting the article, readers enjoy the content with relevant information on the video game. 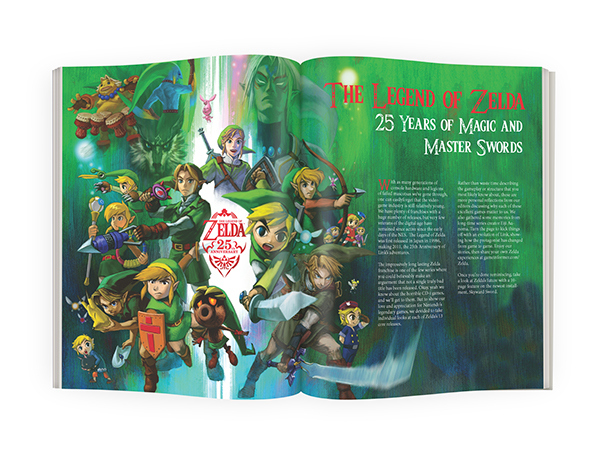 Feature Article Spread on popular videogame franchise The Legend of Zelda, celebrating its 25th anniversary.